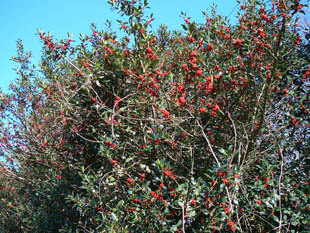 It is widely planted in gardens, parks and public amenity areas. 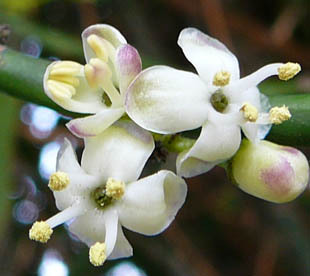 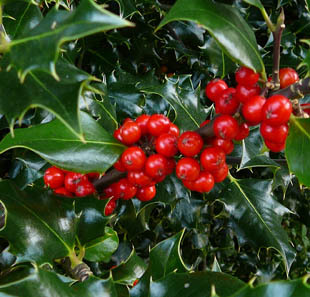 It is a native, evergreen shrub or small tree growing up to 15m. 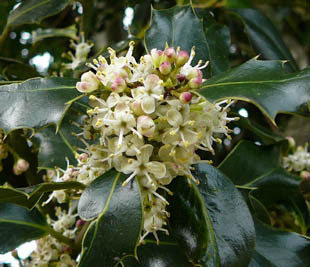 because they are hidden by the leaves. 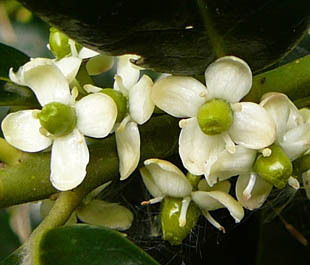 They have 4 white (sometimes tinged purple) petals. 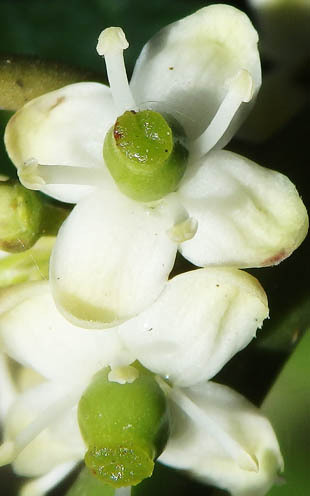 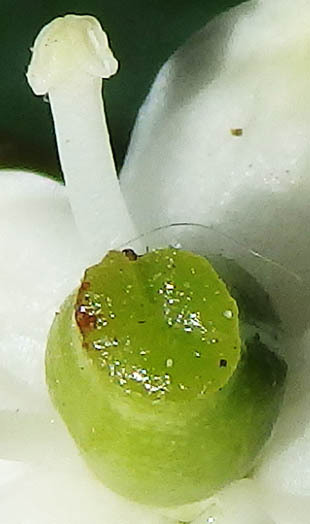 There are 4 stamens with cream anthers. 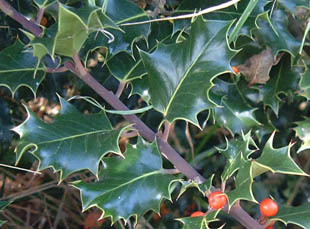 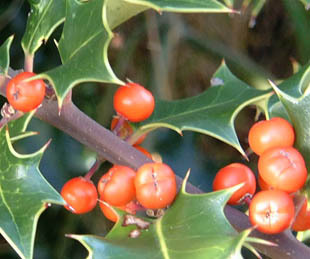 Leaves are dark-green and prickly.